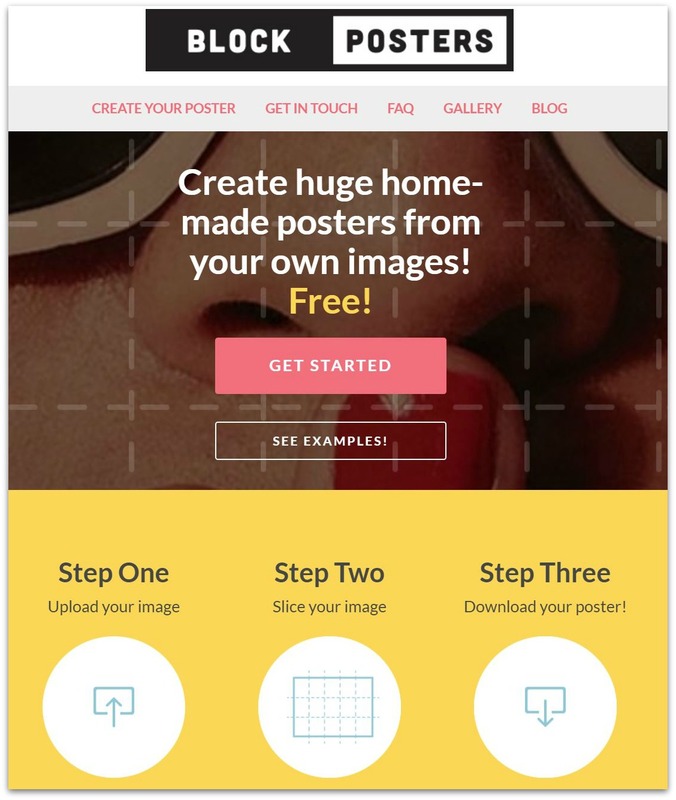 Have you ever wanted to enlarge your images into huge posters, right at home, without having to go over to the copy shop? 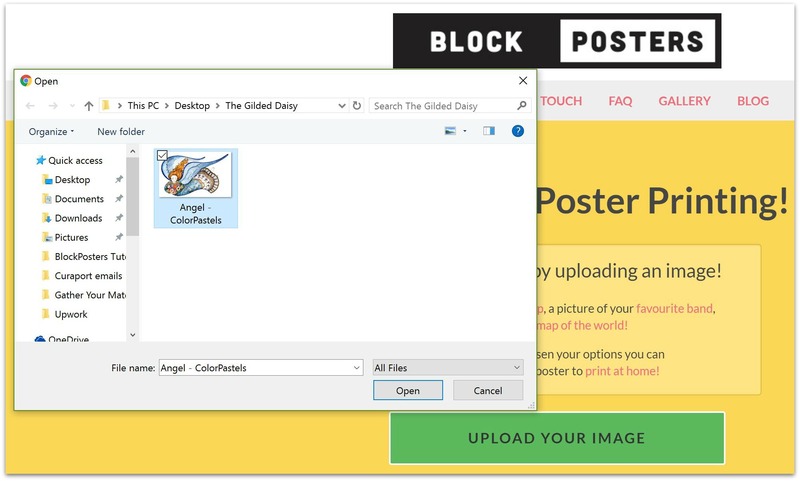 Today, I’d like to share a quick, step-by-step tutorial on how to use the website so you can start printing enlarged images for your projects! 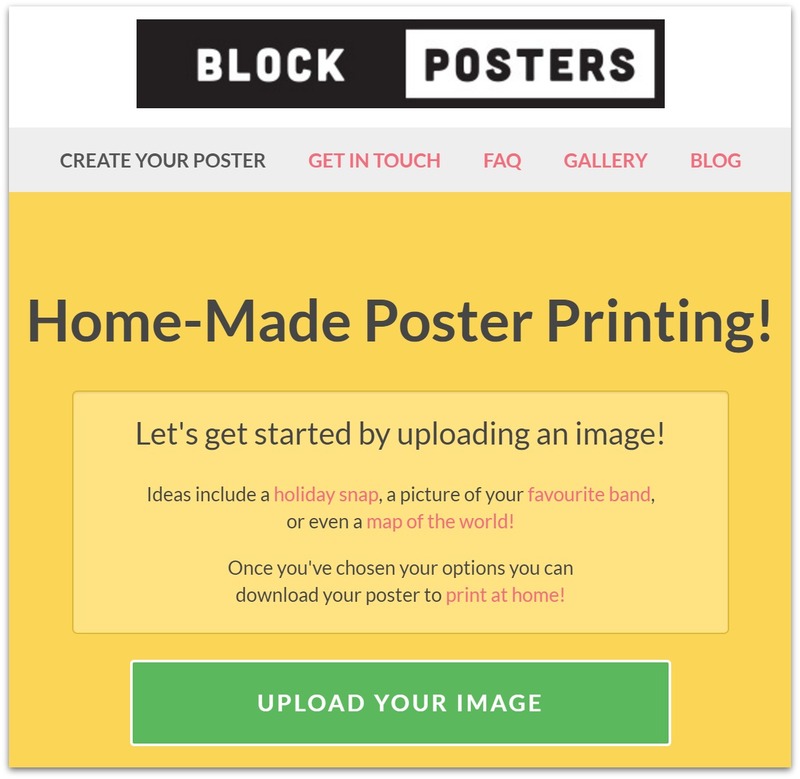 Start by heading over to blockposters.com. On the homepage, click the pink “Get Started” button to start the process. On the next page, click green “Upload Your Image” button. A pop-up will open up and you can select the picture you’d like to enlarge. 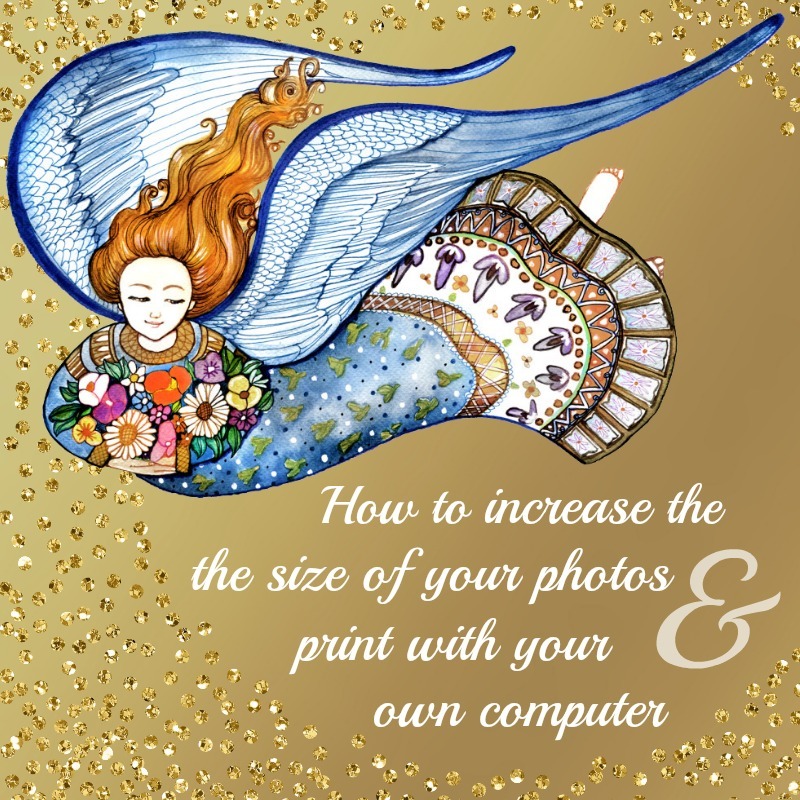 I decided to enlarge a gorgeous angel image (I’ve included a download at the end of this tutorial). Once your image is uploaded, you can customize the settings to fit your specific needs. 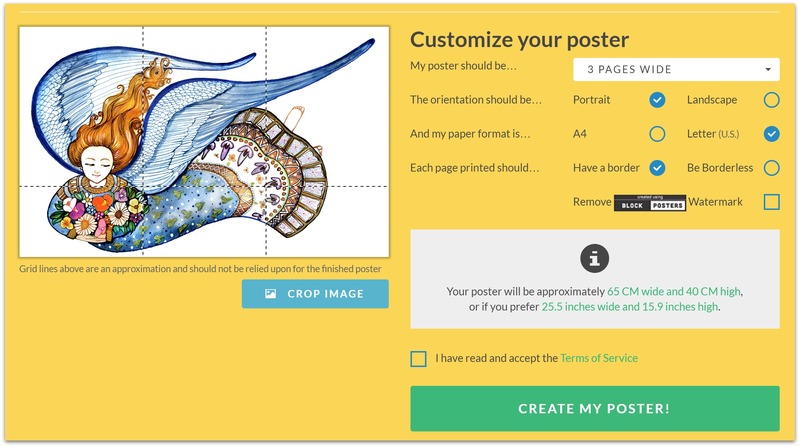 For example, you can specify the exact size you want your image to be, orientation, and the paper size. 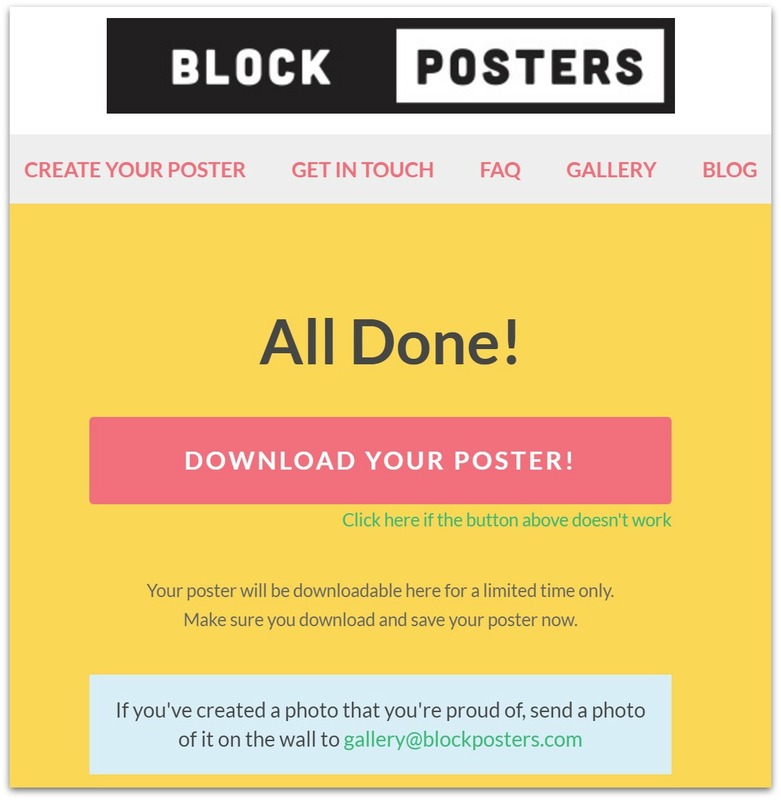 On the next page, click the pink “Download Your Poster” button to download your enlarged image. That’s it! If using an inkjet printer, you must then have them photocopied on a toner printer. Make sure to find out what type of printer is being used. Always ask first. 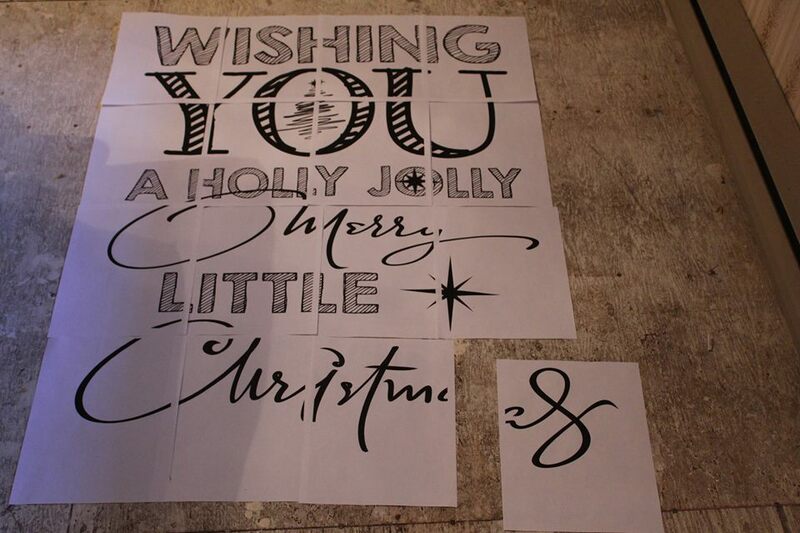 Below are my pages for this blackboard I was making. As I was only tracing the pattern on to the blackboard and not image transferring in this project, the text is not reversed. When image transferring remember, you must reverse the text. The pages must be trimmed and taped together on the back on the print. There tends to be white spaces/lines where the papers join. A seam may be visible. This seam is painted in once the transfer is complete.